When you've created an awesome Qwilr Page, sometimes you want to share it with the world (rather than just one client) Especially if you've created a brochures or marketing landing pages. 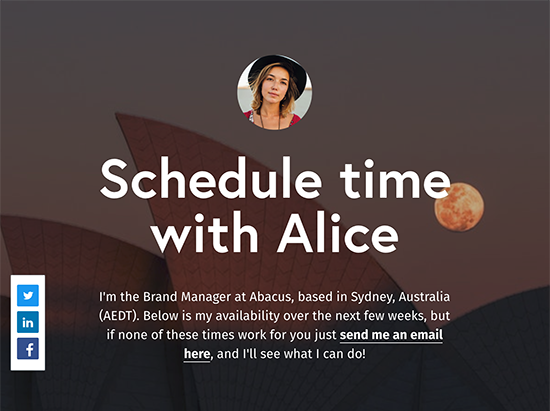 With our built in social sharing (Twitter, Facebook, and LinkedIn) you can do this with just a few clicks. 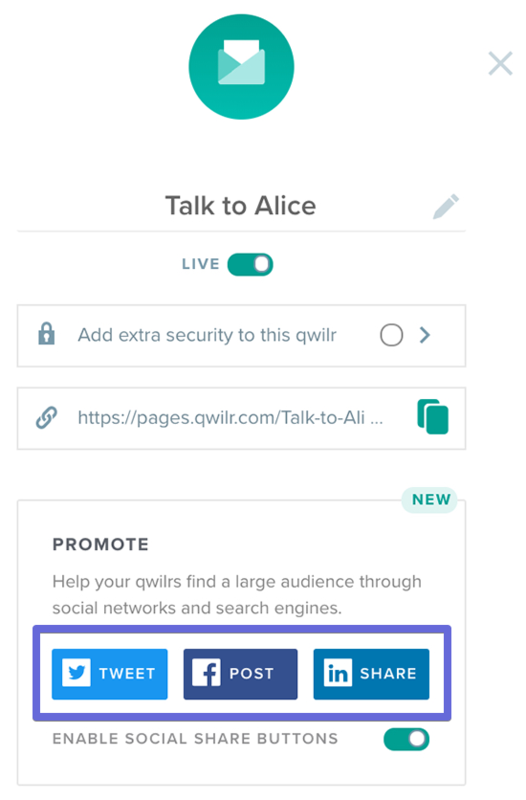 To add social sharing links directly to your Qwilr Page, first you'll want to set your page to live and then click on the Share button. From the Share screen you'll see a "Promote" section with the social sharing option disabled. From there Twitter, Facebook, and LinkedIn buttons will automatically appear in the first block of your Qwilr Page. Your clients will be able to click on them and have the Share options for those social networks automatically filled with your page name and URL, and they can tweak the description and images from there. By enabling the social option you'll also be making your Qwilr Page indexable by search engines. This is great if you want the page to show up in search results. If you want to share your own Qwilr Pages, you can also use that same social sharing option from your share screen. Each of those social buttons will pop up the share screen on the specific social network and pre-fill with your page name and URL. You can modify the text yourself before posting.